A sweet and husky voice sings with the enthusiasm and simplicity of a girl, and yet with the attitude and competence of a grown-up. The innovative singing of Isabelle Geoffroy – or Zaz, as she is known – is a musical translation of the contemporary world, where borders between East and West, tradition and innovation, acoustic and electronic are no longer perceived – or make any sense. With simplicity, elegance and a unique identity, Zaz carries the most diverse influences in her music: from jazz to blues, from traditional French music to Moorish chants, from African sounds to Latin beats. The result is stunning: innovative music, full of personality, emotion and joy. Her first album, released in early 2010, was a best-seller for months in Europe, and placed Zaz among the greatest new artists of contemporary French music. Her most successful song, ‘Je veux’ (‘I want’), brings the ecstasy and freshness of youth, in its ode to freedom and critique of the standards established by the consumer society. 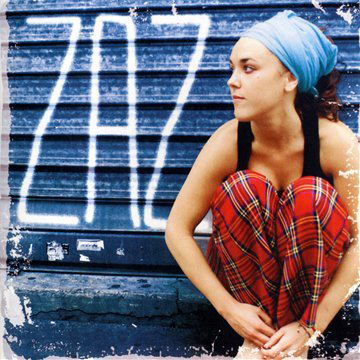 Romanticism and contradictions aside, it is a great pleasure to listen to a powerful and humorous voice like Zaz’s singing ‘oubliez tous vos clichés‘ amidst a commonplace music scene. The same CD features a gorgeous cover of ‘Dans ma rue’ (‘In my street’), originally recorded by the greatest husky voice of French music, Edith Piaf. And, if in the voice of Piaf this song sounded beautifully nocturne and melancholic, in the voice of Zaz it acquires a different form of beauty – this time solar and vibrant. C’est ça: oubliez les cliches – et vivre la différence.